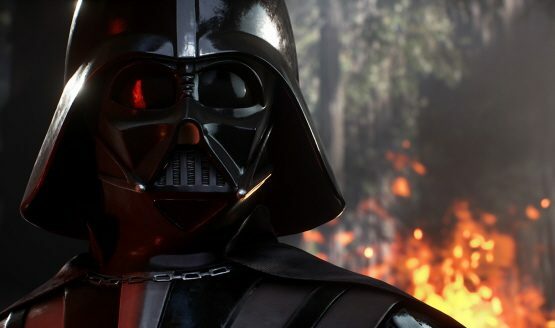 It’s easy to look at Electronic Arts’ decision to temporarily remove microtransactions from Star Wars Battlefront II as a landmark moment. In fact, it might very well wind up being one down the line, as it marks one of the first examples of negative feedback causing significant change to a game before it even officially releases in many territories. It’s certainly a fascinating case, but it’s one that I don’t believe will become the new norm. Before I explain why I don’t think this will lead to an immediate sea of change in how microtransactions and loot boxes are viewed in games, I do want to stress that consumers have power. In fact, in a capitalist society, the consumers hold an incredible amount of power if they choose to actually use it. Trends will end if they no longer make business sense, and if people come together, they can enact meaningful change. That’s easier said than done, though. Even if most people agree on an idea in theory, it’s difficult to get hundreds of thousands of people (let alone millions) to actually get on the same page. After all, it doesn’t matter if a hypothetical 99% of gamers are against loot boxes as an idea if they wind up spending some of their own money on loot boxes. Humans are complicated creatures, and it’s not uncommon to indulge in something even if you don’t like it (just ask a smoker). Star Wars Battlefront II is a unique case for a number of reasons. One of the major ones is that few properties are as protected as Star Wars currently is by Disney. With multiple films and other business ventures on the way, the conglomerate is counting on the Star Wars brand to stay relevant and beloved for many years to come. Thus, when the Star Wars brand is swept up in a bunch of negativity right before The Last Jedi is set to release, that’s a major issue. Disney wants the Star Wars brand to be associated with ideas of inspirational heroes, fun action, and a high degree of quality. What they don’t want to be connected to is death threats, gambling, and middling reviews after partnering with one of the most capable video game publishers. The idea of Star Wars, which is undoubtedly pushed as a kid-friendly franchise, being associated with gambling is especially damaging to their brand, and there’s little doubt in my mind that this is one of the factors that led to Disney chief executive Bob Iger calling EA CEO Andrew Wilson yesterday. It’s ultimately pretty simple. No amount of money raked in via microtransactions could ever be worth damaging the Star Wars brand. It’s far too massive, and a negative stigma could potentially cost Disney billions down the line. This isn’t about a company being overprotective, but a property holder making sure one of its investments isn’t damaged over something as ultimately small as a single video game. Consumers managed to make a difference in this one particular circumstance, but it had nothing to do with people speaking with their wallets. Hours before Electronic Arts pulled microtransactions from digital storefronts, the October 2017 sales for video games came in. In not much of a surprise, Middle-earth: Shadow of War wound up being the best-selling title of the entire month (although, it’s worth noting that digital sales for Mario weren’t reported). 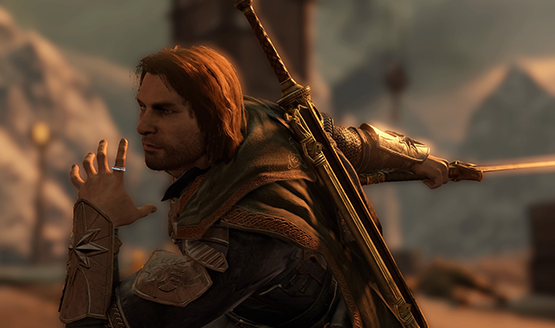 This made sense since not only did developer Monolith Productions make a great game, it was a sequel to an already successful title in a popular series (Lord of the Rings). This non-surprising success story also shows how hypocritical consumer outrage can be. Before players were outraged over Star Wars Battlefront II, they were screaming online about Warner Bros. putting microtransactions into a single-player game. There were valid complaints, a whole lot of hyperbole, and there was always one constant in any conversation: people claiming they were boycotting the release. So many consumers proclaimed that they were going to put their money where their mouths were, and that they were finally fed up with invasive microtransactions. Talk is cheap, though, and only a fraction of players actually did what they said and skipped one of the biggest tiles of 2017 over their morals. Consumers can talk about how much they want single-player titles with no loot boxes, and practically describe the feature set of Wolfenstein II: The New Colossus word-for-word, but it doesn’t matter if they don’t reward those titles with their dollars (and in this case they didn’t as Wolfenstein II landed 13 spots lower than the game that so many claimed to be repulsed by). What happened with Star Wars Battlefront II doesn’t have to be an anomaly. Business practices can, and will, change if consumers resist them and reward the titles that serve their interests. That said, it won’t happen if players don’t take a stand. This doesn’t mean sending death threats or downvoting Reddit comments, it means standing your ground if you really are repulsed by loot boxes and gambling-esque business practices.